TOKYO, Japan, March 16, 2011 (ENS) – Radiation levels at the Fukushima Daiichi nuclear power plant, hit by Friday’s 9.0 earthquake and tsunami are fluctuating widely from moment to moment as workers scramble to cool four overheating reactors, two of which have suffered explosions and partial fuel meltdowns. 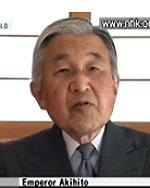 The top government spokesman said today that radiation levels remain within a range that would impact the human body. Chief Cabinet Secretary Yukio Edano said that just after 10:00 Wednesday morning, the radiation levels near the main entrance jumped rapidly. All 50 personnel on hand temporarily evacuated to a safe area, including the operators of the central control room of Units 3 and 4, a shared facility. About an hour later, radiation levels fell and the workers returned to the stricken power plant and restarted the water injection operation. The water injection was stopped today at Unit 4, which was shut down when the earthquake and tsunami occurred on Friday. This unit has had one confirmed fire and another that was reported, but not confirmed by authorities on the ground. Japanese authorities reported concerns today about the condition of the used nuclear fuel pools at Fukushima Daiichi Units 3 and 4. Officials are preparing to spray water into Unit 4 from water cannon usually used to control crowds, and possibly later also into Unit 3. Debris on the ground from Monday’s explosion at Unit 3 has to be removed before the spraying can begin. Despite an explosion on Tuesday that may have damaged the reactor vessel of Daiichi Unit 2, today seawater is still being injected into the reactor through fire extinguisher lines to cool the nuclear fuel, according to the Japan nuclear safety agency. Tokyo Electric says it is trying to install new power lines to reactivate the Daiichi cooling systems in a desperate effort to stop the ongoing radioactive leakage. 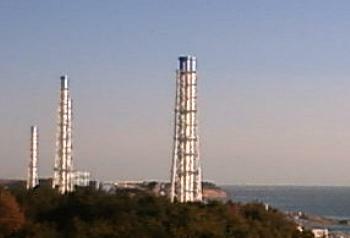 The emergency diesel generators at the plant failed to work they were damaged by the tsunami. The emperor expressed concern about the situation of the quake-hit nuclear power plant in Fukushima prefecture, and said he hopes related people’s efforts will prevent the situation from worsening. As workers struggle to keep the nuclear fuel rods covered with water, the U.S. Nuclear Regulatory Commission today advised U.S. residents within 50 miles of the Fukushima reactors to evacuate. “Under the guidelines for public safety that would be used in the United States under similar circumstances, the NRC believes it is appropriate for U.S. residents within 50 miles of the Fukushima reactors to evacuate,” the agency said. The Japanese government has ordered the evacuation of everyone within 20 kilometers (12.4 miles) of the stricken plant and advised everyone between 20 and 30 km from the site to remain indoors. The NRC said Hawaii, Alaska, the U.S. Pacific territories and the U.S. west coast are not expected to experience any harmful levels of radioactivity. At the Daiichi power plant, seven Tokyo Electric employees have been injured since the earthquake and tsunami struck on Friday, and one is missing in the turbine building of Unit 4, according to a report Wednesday by the Japan nuclear safety agency. Five subcontractor employees working at the plant have been injured. Another person, unidentified at this time, was transported to hospital after suffering a stroke. Five members of the Self Defence Force and two policemen were decontamined after radiation exposure, authorities confirm. Of the 18 workers examined for radiation exposure, one showed radiation above the legal limit, but suffered no internal damage. All the others were cleared. Fukushima Prefecture started radiation screening on Sunday at two health office in the prefecture. It is being conducted at 12 evacuation sites and six health offices. Of the 133 evacuees from Futaba Public Welfare Hospital to Nihonmatsu City, 23 persons who showed high levels of radiation were decontaminated. As for the about 100 residents in Futaba Town evacuated by bus, four showed radiation levels higher than the legal limit. Since its power generating capacity has been damaged, Tokyo Electric has instituted rolling blackouts, shutting down power to several million people for three hours at a time, according to a preset schedule posted on the company’s website. 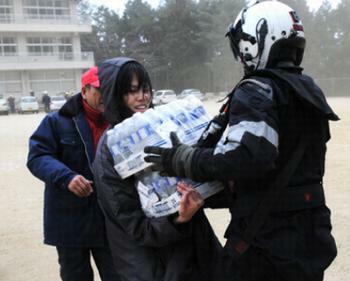 Japan’s health ministry says at least 1.6 million households in four prefectures along the east coast of Japan’s main island, Honshu, are still without water after Friday’s earthquake and tsunami. Transportation around Japan has been hindered by fuel shortages, and the government has asked people not to hoard fuels. Edano said, “In the aftermath of this massive earthquake, the situation has worsened seriously regarding gasoline, diesel, heavy oil, and other types of fuel. While other nations have offered to supply Japan with enough fuel so Edano said there would be “no problem, he asked all residents not to hoard so the government could move fuel to the afflicted regions. The Japanese government now puts the death toll from the combined earthquake and tsunami disasters at 4,377 people. At least about 9,000 others are still missing. More than 344,000 people are housed in about 2,400 shelters. But many temporary shelters set up in Fukushima prefecture are already too crowded to accept newcomers fleeing the unstable nuclear power plant.